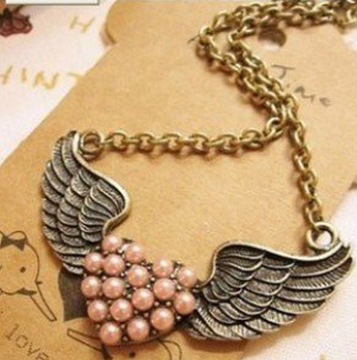 Retro Angel Winged Heart Necklace Just $2.59 SHIPPED! You are here: Home / Great Deals / Amazon Deals / Retro Angel Winged Heart Necklace Just $2.59 SHIPPED! This looks so fun! It caught my eye as I was looking around on Amazon today! You can get this cute Retro Angel Winged Heart necklace for just $2.59 PLUS FREE shipping!